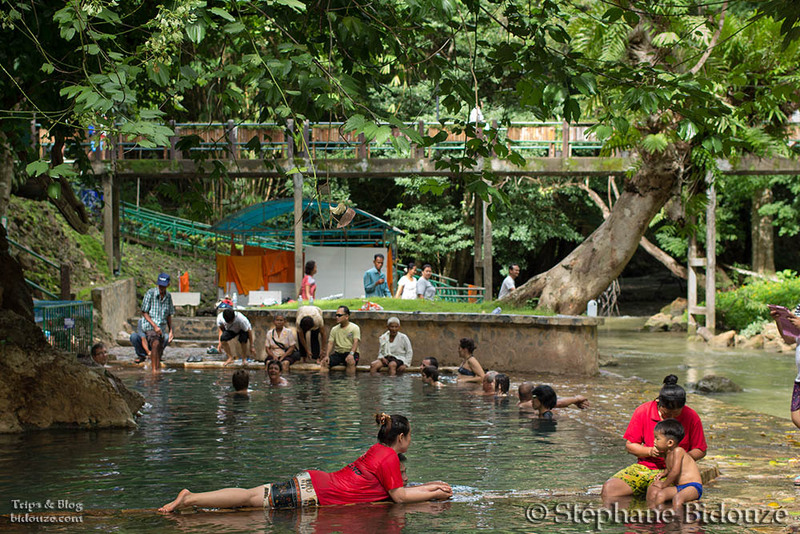 THONG PHA PHUM's village and Hindad's hotsprings. 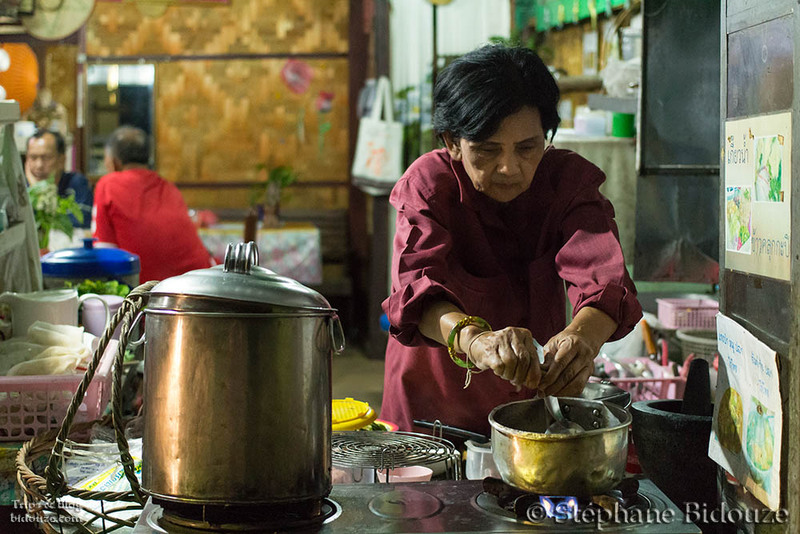 Home / THONG PHA PHUM’s village and HINDAD’s hotsprings. The previous post ended at Namtok, getting off the train. OK, well, the day only begins…. what on earth do we do here, lost in the middle of nowhere in the countryside ??? 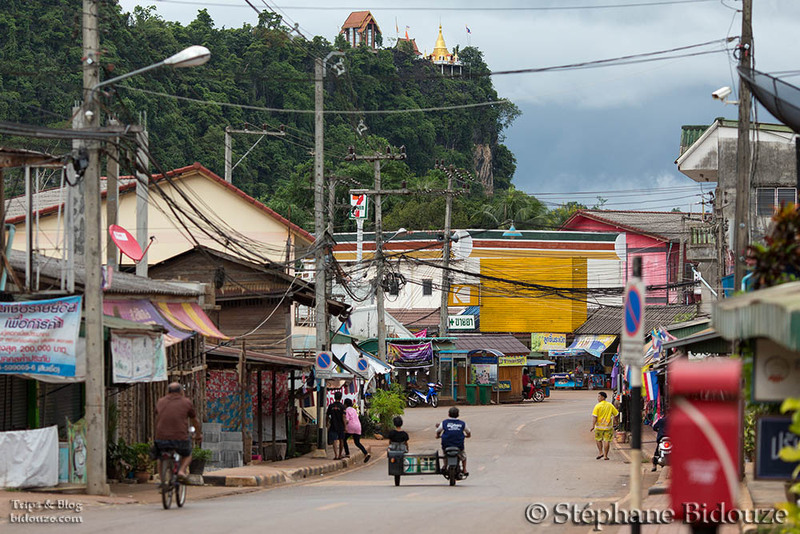 It’s very simple : we will hire a taxi, and it will stop us on the national road, nearby, we will wait for the next bus, to go north, near Cambodia’s borders, and we will get off at Thong Tha Phum’s village, and “know” then, that we are really lost !!!!! We are lucky, on this road, they have old buses, without air-conditioning and very weird …. look at the ceiling of this machine ! 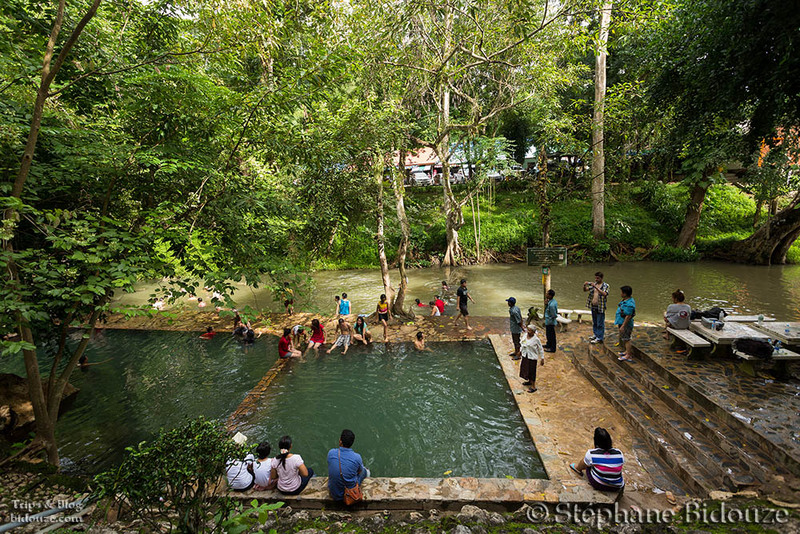 We got to Thong Pha Phum, this is “deep” Thailand, where nobody speaks English, so how to ask on which bus we should get, to go to the hot springs of Hindad ? Well, it did take us around 20 minutes to find out, silly …. since it is the one and only interesting place around here. 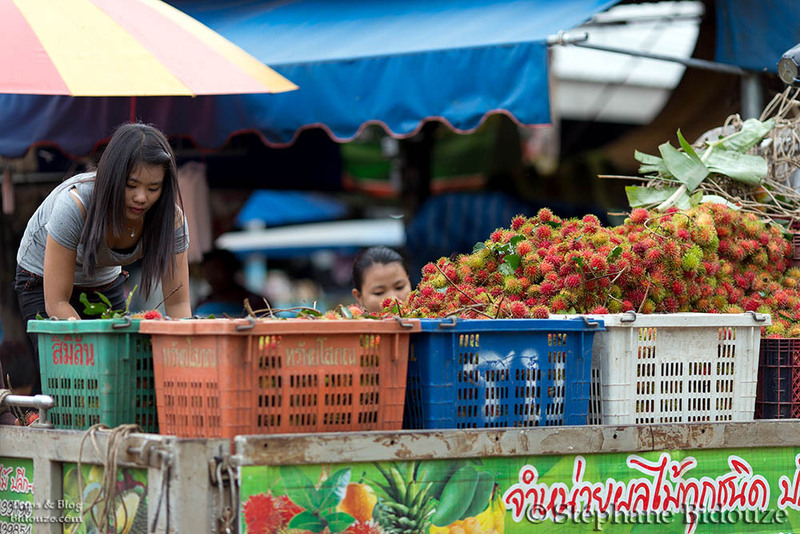 It is Thailand, generous, careless, just like the going on this market, near the river, where salesmen offered me some delicious rambutans, freshly picked up, or even the granny who has the passion of cooking marvelous curries, but gosh … very, very, very hot/spicy ! Legendary “Land of smile” is here, intact, not at all polluted with luxury hotels and mass tourism. 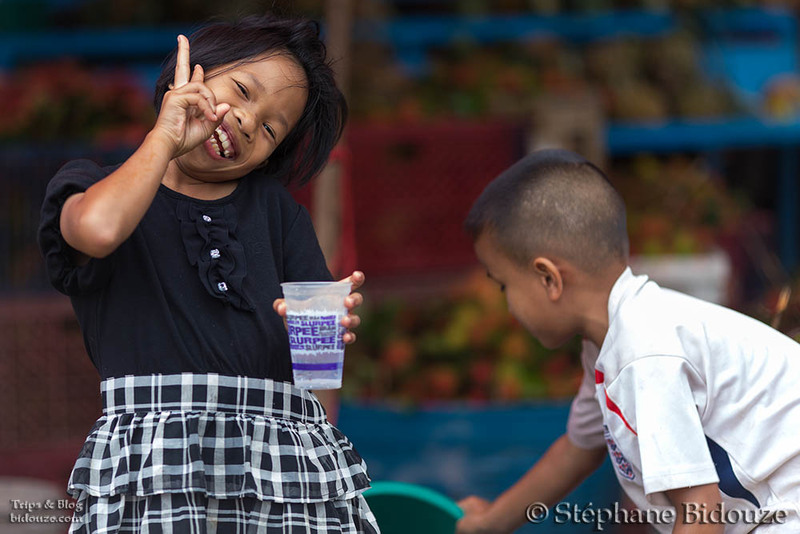 Thong Pha Phum’s village is not far from the Kwai river. 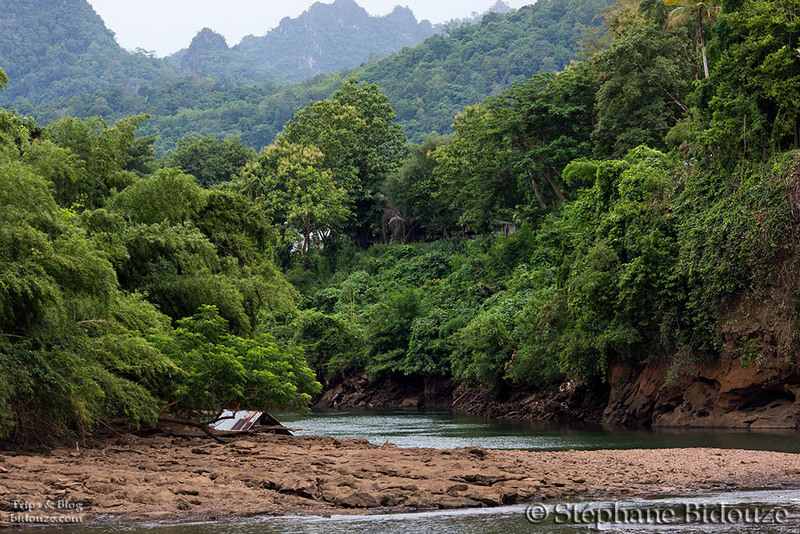 A temple is said to have been engulfed in the river’s bed, but the monsoon does not allow to see it in july. 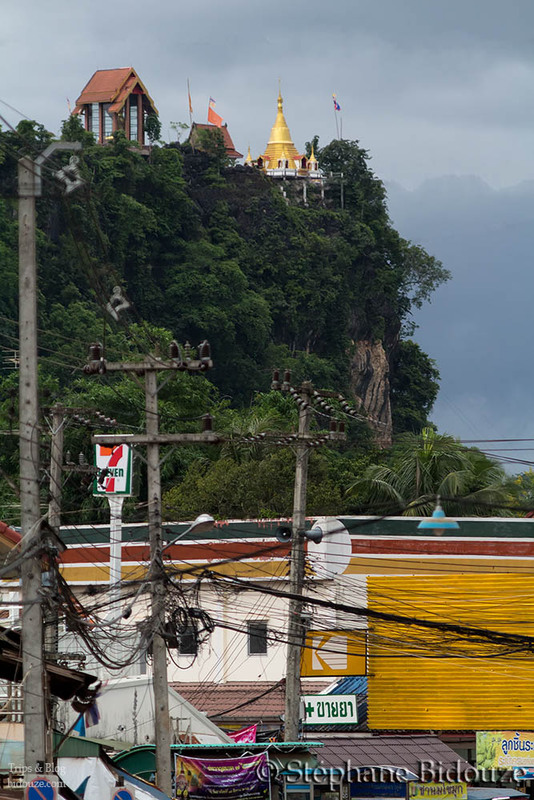 A temple, that does not fear flooding, is high up on a cliff, it’s golden stupa is shinning but is in competition with the inevitable Seven Eleven’s advertising board. So … let’s go, the bus is here and about 10 minutes later we get to Hindad’s hot springs, or Hin Dat, or Hindat, well anyway, all the same ! A good tropical shower followed us , so, time to eat in a little restaurant of the park, when we finished, a thin rain was now falling. 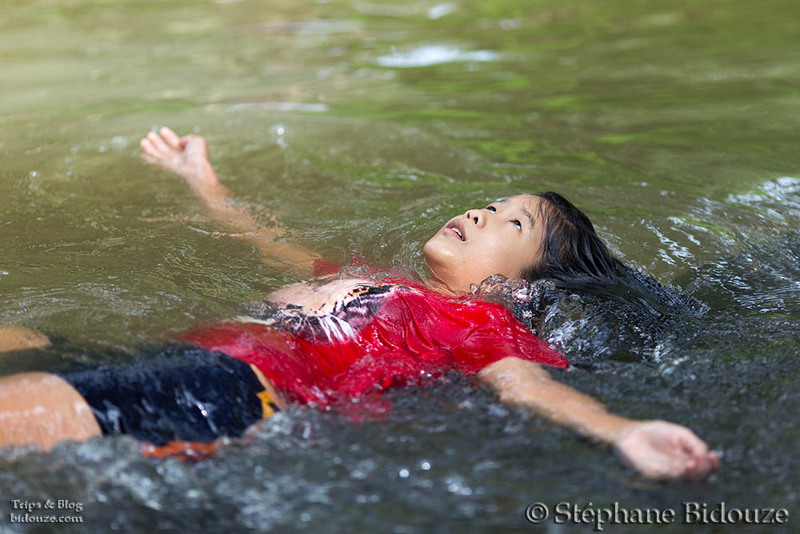 Some pools allow you to” boil up” in the spring water, while the river near by, brings some freshness, but not chiliness. To get in one pool, then in the other, helps to a good blood circulation, gets rid of cellulite and clears up alcool abuses, makes the legs thinner and lighter and of course allows you to live up to 100 years old …. for sure !! 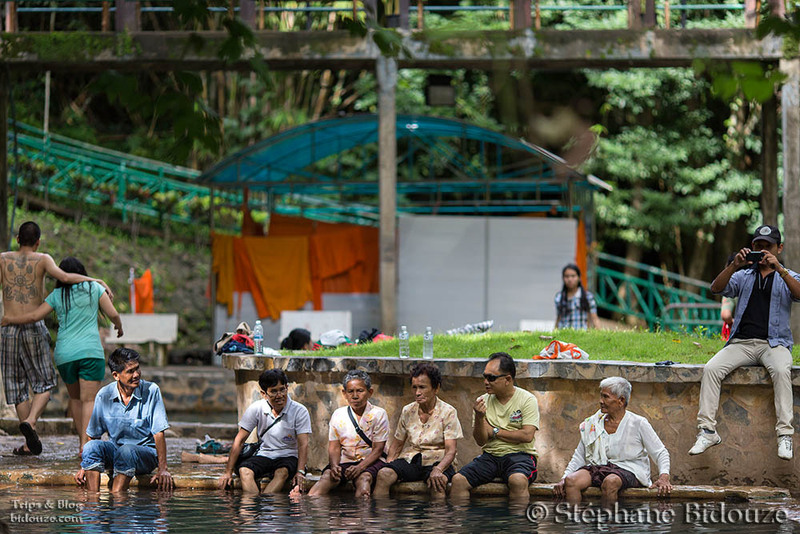 Most people in the pools are Thais, on families’ outing, and the tradition is that people bathe fully dressed. A few european tourists enjoy it too, most of them are stripped to the waist. The place is well shaded with trees. We find showers and changing rooms housed further up. 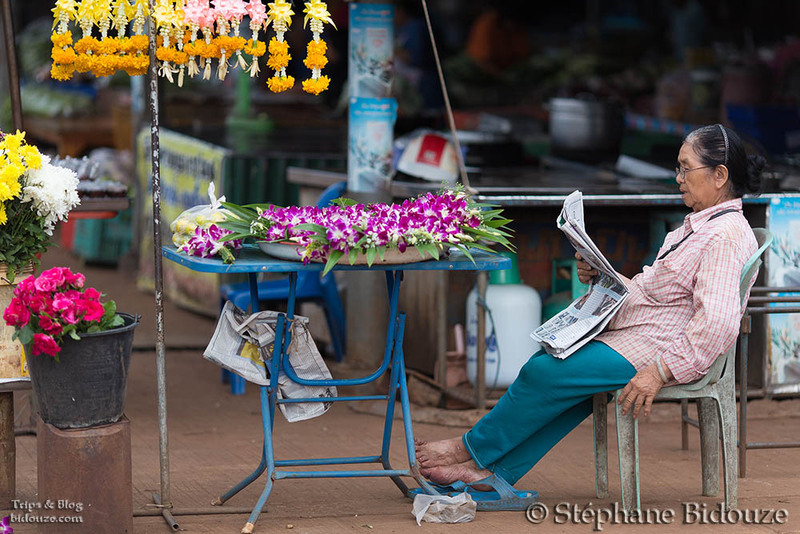 A lovely peaceful, relaxing moment in a very friendly atmosphere. 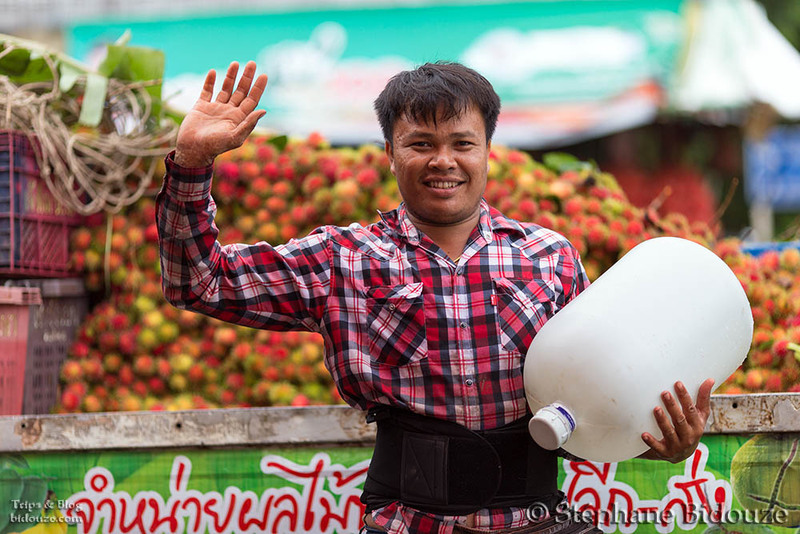 THIS IS THAILAND, for you !!! !